Welcome to this months Transformation Goddess: Divine Feminine Spotlight. Today it's my pleasure to introduce you to Linda Joy. In her twenty-year journey from welfare mother to award-winning entrepreneur, Linda has learned firsthand the power of passion, courage, and perseverance to achieve your dreams. She is a passionate believer that there are no failures in life — only lessons to be learned and shared. Linda believes that when a woman discovers her true passion, believes in herself, and takes inspired action to move forward, only success can follow. Linda's hope for every woman is that she realize her true potential, take action to bring it forward and in turn share her unique wisdom with the world. Linda Joy is the founder of Inspired Living Publishing and the publisher of Aspire Magazine – the premiere inspirational magazine for women. 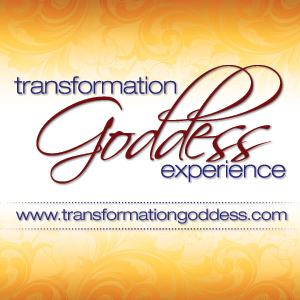 The Transformation Goddess Divine Feminine Spotlight interviews are approximately 30 minutes in length (or less) and can be enjoyed here, or easily downloaded to your mp3 player from iTunes. Join Linda and me for the Sacred Heart Teachings TeleCall on Tuesday, February 26th at 7:30pm Eastern. REGISTER NOW and claim a copy of Body Scan, a guided relaxation from my Transition to Calm album.